There are two different types of Social Security disability benefits for which a disabled individual can apply, depending on the facts regarding his or her disability and work history. The most common type of benefits for which claimants apply are known as Social Security Disability Insurance (SSDI) benefits. These benefits are designed to help people who have a substantial history of engaging in gainful employment, but can no longer work due to a disability. The second type of benefits available to some claimants are known as Supplemental Security Income (SSI). Like SSDI, SSI benefits are also administered by the United States Social Security Administration (SSA), which is a federal executive agency. SSI benefits are designed to help disabled children in low-income households. The program is also designed to help blind and disabled elderly individuals. There is no requirement that a person have worked to apply for this type of disability award. Boyd v. Colvin, a case from the United States Court of Appeals for the Eight Circuit, involves a claimant who applied for both SSDI and SSI benefits. While this is not the usual practice, there are cases where it is appropriate. In this case, claimant filed his two applications in which he alleged that he became disabled in August 2011. His reason for being disabled was due to having diabetes, heart disease, fatigue, and pain in his chest, back, and one leg. As you may discuss with an experienced Boston disability attorney, it is often not enough that you have one disabling condition to get disability benefits unless that condition is deemed severe. In many cases, you will need to establish a combination of conditions that will allow you to qualify for Social Security Disability Insurance benefits. It can be a combination of mental and physical medical conditions. After his initial applications were denied and his requests for reconsideration were also denied, he was finally given a hearing before an administrative law judge (ALJ). At the hearing, the ALJ concluded he was not disabled and denied his request for both SSDI and SSI benefits. His reason for the denials was that he found the evidence submitted by claimant was “relatively weak medical evidence,” and he did not credit that evidence. Instead, he chose not to rely on that evidence and relied on the testimony by an SSA vocational expert (VE). It should be noted that claimant was not represented by counsel during his SSDI and SSI hearing before the ALJ. In these cases, it is very difficult for an unrepresented claimant to prevail in a hearing before an ALJ, because the system is essentially set up in such a way as to work towards denying as many claims as possible. The SSA is constantly in fear of running out of money, and one of the main ways the agency can save money is by denying as many claims as they reasonably can. 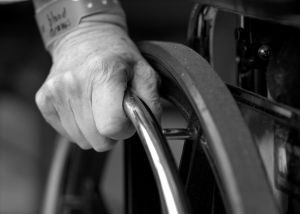 To make matters worse, it is clear from many appellate decisions that ALJs are denying applications without regard to whether the claimant is actually disabled. Unfortunately for the claimant in this case, the court of appeals affirmed the ALJ’s denial of benefits.